DJ Dave Productions offers mobile Houston DJ services. We are a full service Houston DJ entertainment company providing Disc Jockey entertainment for the Houston area. 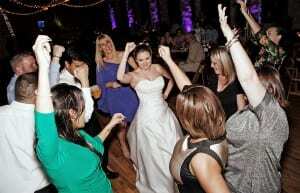 Our Houston DJ service has performed at numerous events throughout Houston and surrounding cities. If you are planning a Wedding Reception, Anniversary Party, Birthday Parties, Holiday Party, Corporate Function, Prom, School Dance, Reunion, Sweet 16 Party, or any other type of function be sure, and browse this web site for all the information you will need to book your DJ (Disc Jockey) entertainment. The music entertainment is the heartbeat of your important affair. At DJ Dave Productions, we are fully committed to providing you with a customized DJ entertainment package that will meet and exceed your entertainment expectations. Our mission at DJ Dave Productions is to provide the highest quality, most reliable and exceptional DJ Service to the quality conscious client who demands only the very best. Our Houston DJ business has been built on referrals. Your total satisfaction is our number one goal…… Always. Today, value is more important than ever. We’re determined to give you the most complete disc jockey entertainment, lighting, and coordination package with no hidden costs. We invite you to compare DJ Dave Productions DJ’s price, quality and commitment with other Houston DJ, Wedding DJ in Houston, or Houston Party DJ companies in the Houston area. We love what we do. We love music, and we love the power it carries. There is nothing more exciting than watching a dance floor filled with people. We take great pride in what we do but our goal is not only to play music. It is to ensure that every event we do is better than the one before. You will find many DJ’s who can bring up the energy of a party for a moment, and down the next. Our web site is designed to help you plan your Wedding, Birthday Party, Corporate Event, Anniversary Party, Reunion, School Event, Semi Formal, Proms, Sweet 16 Party or any other event. Using our event planning system you can plan your entire event, leave messages for us, let your guests select music from our database, as well as several other features. We allow you access to this twenty four hours a day seven days a week. Doing business with DJ Dave Productions is simple and easy! Our DJ entertainment packages will always include a professional dressed entertainer, and our full sound system. Take a look at our system there are no wires running all over the place looking like a mess. We use quality professional grade Disc Jockey equipment housed in its own cases which gives us a neat and clean look to your guests. We use names like JBL, QSC, Denon, and Virtual DJ Pro, these are some of the best names in the business as well as our HP & Lenovo Dual Back-up Laptop computer set-up. We do not charge for set-up and break down of the equipment. All events will have a wide variety of danceable music ranging from the oldies up to the latest top forty, country, dance, and rock & roll. What makes our selection of music even better is that we bring our entire music library to every event this makes it easy to honor just about any request. We subscribe to a weekly DJ only music service which allows us to carry most hits on the latest top 40 charts. We are not DJ’s who steal the show we will not embarrass your guests or make your event look cheap. If you want to make an impression on your guests and create unforgettable memories, you need to call DJ Dave Productions to schedule an appointment. No problem! We will be set up and ready whenever you are. When your guests arrive we will be ready to play any type of music that will make your cocktail hour more enjoyable. Your guests are just arriving, and want to say hi, and talk the volume will allow this. Your entertainer will also be ready to handle anyMaster of Ceremonies for all introductions or special announcements. When it’s time to eat, we’re there and ready to tone it down. Whether you prefer a soft rock or mild jazz, we will be providing the background music for you, and your guests to enjoy while you eat and socialize. You will also have complete microphone access for prayers, toasts, or special announcements. We will also work with the catering staff to make sure everything stays on time. When you’re ready to dance…. We are too… Your Disc Jockey will watch and when it’s appropriate the dancing will start. We always take requests and have no problems playing songs you have selected at the appropriate times. Your DJ will make any necessary announcements throughout the evening. We continue to provide your musical entertainment until your reception site closes for the evening. If you need help with planning your event, let us assist you. We will work out the details with you. It’s your event so make it the way you want it. How far ahead should we book your service? It depends upon the date. We recommend clients choose to contract 12 to 18 months in advance. Saturdays are the premium and the busiest nights, so waiting too long to hire a DJ (or any service) for a Saturday night might lead to disappointment. You should get a written contract from all of your event services. No professional service operates without written contracts, and if a potential service tells you that you don’t need one, turn and run! 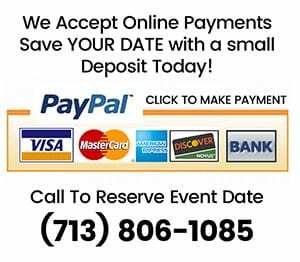 Make sure the contract includes the date, times and location of your event. We always send a written contract, guaranteeing your event details.